was this past Friday, it was my first "blog meetup" if you will. I have been on two 'blates' before, but this was my first event. It was put together by the lovely Ashley & Angela and it was at a local boutique. We had a really good time and it was fun to meet so many local ladies. Especially the few I had interacted with via bloggy land. Love these ladies, so sweet! My favorite part of the night was when we had speed blates. One minute per girl and we had one minute to answer some quick questions. 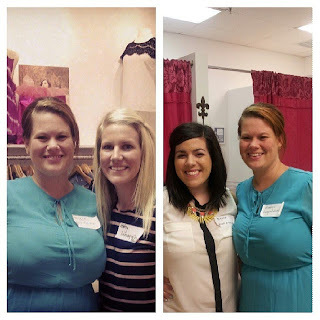 Do you have a bloggy bestie?. 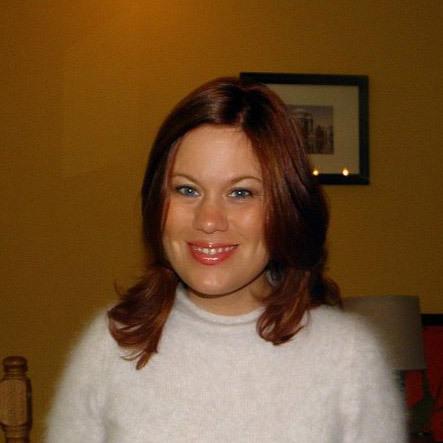 and duh, of course I do, well actually a 'blestie" and it is the ever lovely Brianne from Being Bracco. and no big deal, this week is her birthday...go say "hi" if you haven't yet. She is way more interesting than me. I promise. 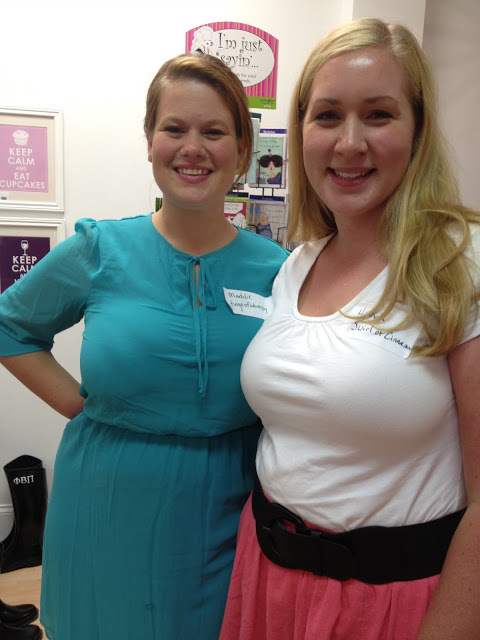 Meet my new bloggy friend, Hannah, from Swirl of Cinnamon. She made tasty coconut and key lime tarts and they were wonderful! and because I am smart...I asked her to guest post, hello, of course I am bringing her goodness to you. I am no dummy. then we had a guest speaker, Mary, the social media director for Clothes Hound, touched base on the best way to properly grow your blog. It opened my eyes to a few areas. Was so much fun and I already am anticipating the fall one! On Saturday we had a dinner party with some friends and I watched Jackson that morning and so all my cooking was done over there. 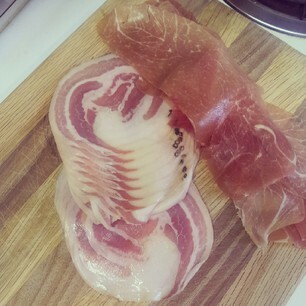 I made some pancetta/prosciutto mac & cheese. 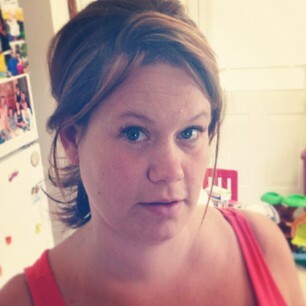 My hair was still happening, after two days by Miss Elizabeth. Basically...it didn't see a hair brush for three days. Messy Hair don't care. 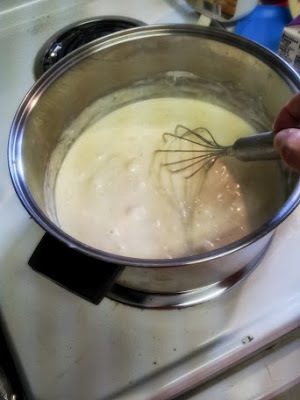 Making a homemade 'alfredo' for the macaroni. 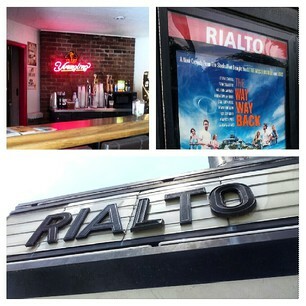 Yesterday we went for brunch at Buku and then to see an afternoon show at the Rialto theater near downtown. It is an older theater with just one screen and they usually show more independent/less run shows. We saw the Way Way Back. Oh, my gosh, so good! Go see this movie if you get a chance. If you want to see the food portion of my weekend, head over to the Thankfull Tummy. 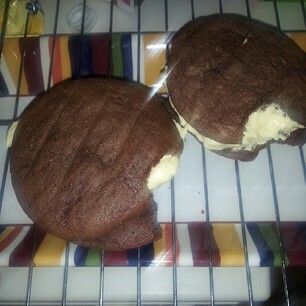 10 comments on "NC Blogger Buzz"
Yum, I agree - those treats were delish! I loved the blate! The rest of your weekend looks like a blast too...you have my curiosity peaked with that football player. It was so great to see you again!!! Lets get together again really soon!! Thanks for the shout out, my friend! I am so behind on my blog reading! Aw great seeing bloggers getting together!